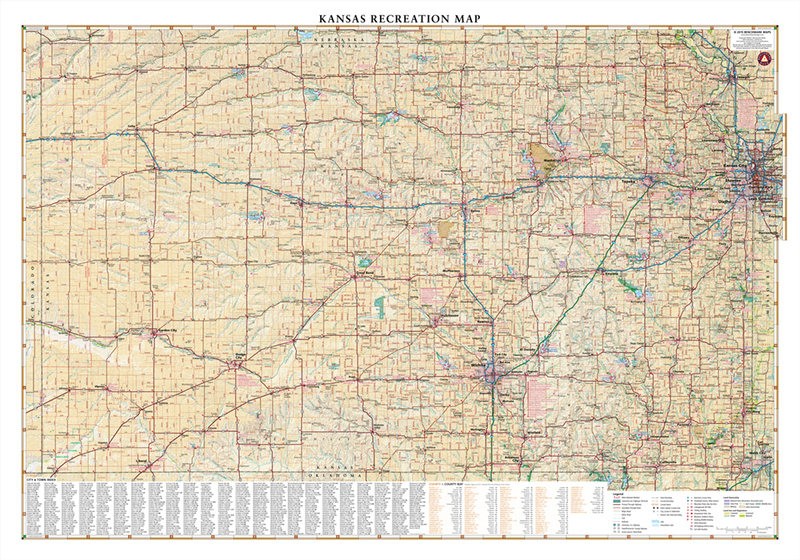 This wall map is made from our folded Kansas Recreation Map but with a slightly larger sheet size for prominence on your wall. 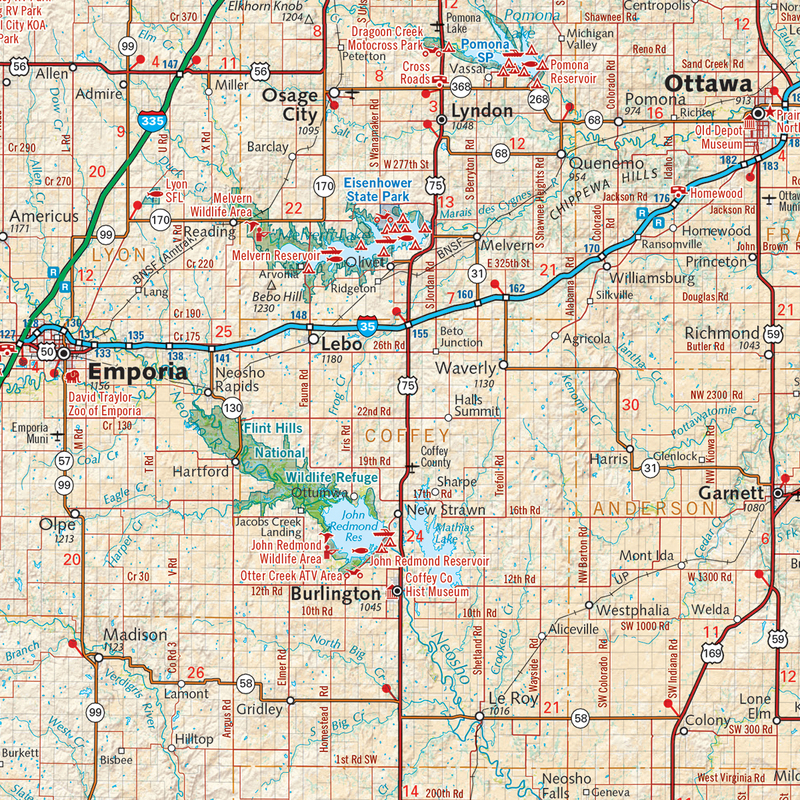 It highlights road & recreation information including public lands, parks & monuments, boating & fishing access, hunting unit boundaries, campgrounds, historic sites, point-to-point distances, and more. Each map is individually printed on high quality paper, hand-trimmed, and shipped from our cartography offices in Medford, Oregon. 40" x 28"